Fine sunny day for the first paddle of the season. Three takers were Jackie, Linda & Tracie. This was the perfect shake down & tune up trip for the upcoming MO adventure. The water was a little chilly yet, but running at a good level. No downed trees in this section. Only met three other small groups. A canoe of fishermen, four teens in three boats, paddling upstream from their cottage to float back down and a couple of kayaks. 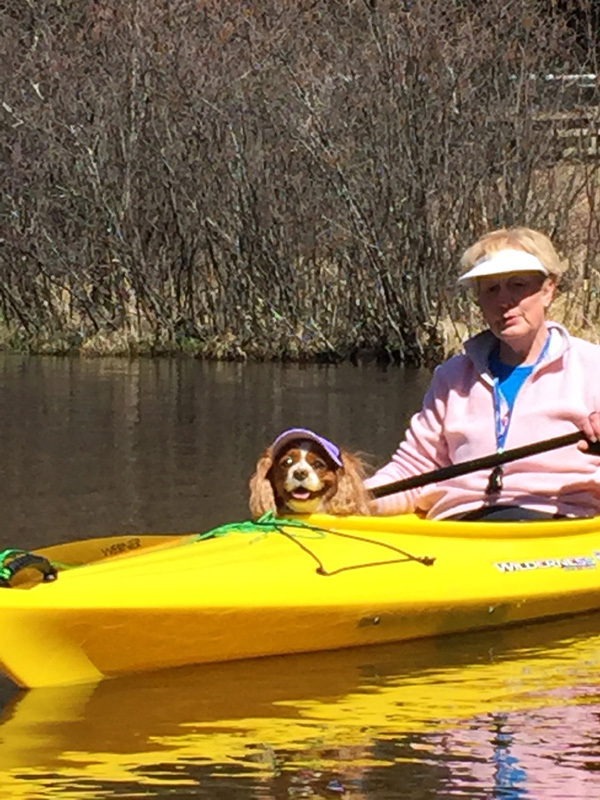 An enjoyable trip for all, especially for our mascot Jackie's King Charles Spaniel Bella.